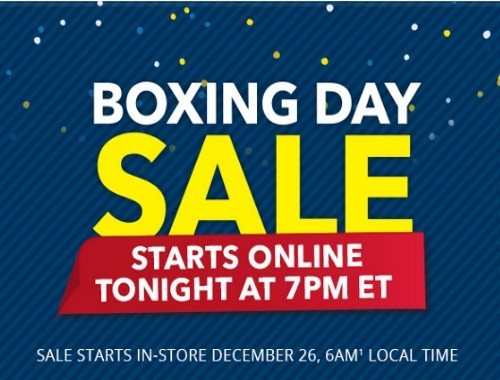 Best Buy's Boxing Day Sale is on now! This offer starts online at 7pm ET on Saturday, December 24, 2016 and in-store December 26 at 6am local time! Limited quantities available. No rainchecks. Limit 1 per household. Click here to view the Best Buy e-flyer. Click here to browse Best Buy.